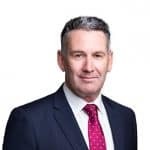 Tim has had over 20 years’ experience in personal injury law including 13 years as the South Australian Practice Group Leader of the national law firm, Slater + Gordon. He is delighted to be continuing his career with Johnston Withers, a South Australian owned and run legal practice with such a proud history of representing injured South Australians. Tim has acted in all areas of personal injury/compensation law, representing people who are injured at work, as a result of a motor vehicle accident, public accident or professional negligence, or suffered through exposure to asbestos. For Tim, achieving significant results in the face of adversity and helping people who need it most is the core of his practice in personal injury law. A particular attraction of Johnston Withers for Tim is the ability to offer his expertise in asbestos litigation to Johnston Withers country offices, specifically Whyalla, a town with a history of heavy asbestos exposure through the ship building industry. Tim takes his role seriously, conscious that all his clients have entrusted him with a significant issue in their lives and making sure his client’s faith is repaid with courtesy, compassion, good advice and efficient resolution of their claim. For many of his clients it will be their first experience of the law and Tim aims to make as bearable as possible a legal process which is stressful enough without the added pressure of coping with an injury or illness. Tim completed his law degree at the University of Northern Territory in 1995. 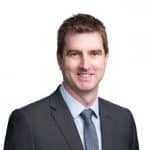 He joined Slater and Gordon in 2001 and was Practice Group Leader for the Motor Vehicle Practice in WA before transferring to SA as the State Practice Group Leader.